This post is a sponsored by driveShop and Mazda, all opinions are, of course, my own. The way you start the new year determine how you spend the year. 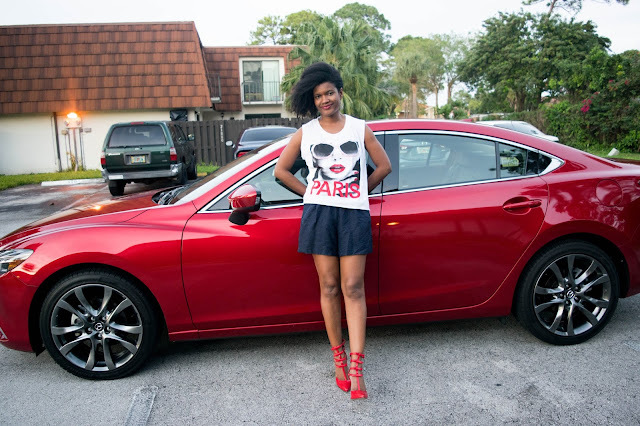 Well, I got to start the new year in style and class with the gorgeous 2016 Mazda6. She pretty, classy and functional. The tech in this baby is ridic! Smart key/keyless system, which is perfect for me since my keys always get lost in the bottom on my carry-all purse, with the smart key I don't need to dig for it, I just get close to the car and it knows it's me and unlock for me. Then I sit down, push a fancy button to start the car, it remembers my preset sit settings and adjust to fit my height and comfort! 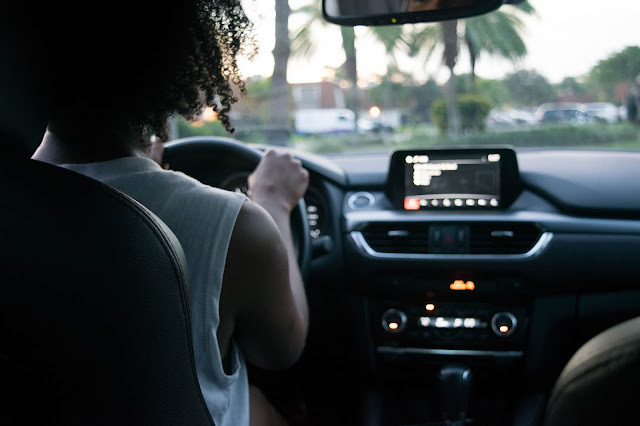 Navigation system for my direction impaired self, Bluetooth capability for hands-free phone usage, you can talk to someone on the like they were in the car with you. So we all stay safe on the road. There are a number of awesome things about the Mazda6, but there is one thing I think is my number one highlight of the car. No, it's not the color red that matched my shoes, and no it's not the fact that we can do matchy #OOTD post together. Although, these are great points but my favorites highlight is one of the safety features. This thing saved me from at least 2 accidents, I give praise to God for how He just weave these moments and plan in advance just to protect me. What if I wasn't in the Mazda? 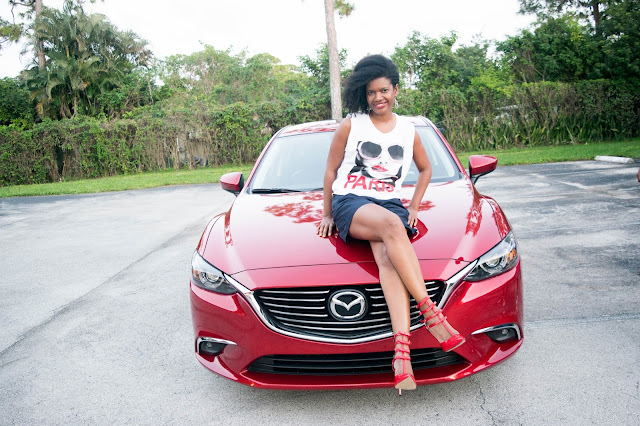 There were two occurrences in the Mazda, where had I been in my regular car it could had been a different story. I didn't see the car coming I checked several times, didn't see anything but the sensor was blinking so I waited then bam, some cray-cray idiot flew right past me and cross in front of in speed that feels like a hundred! My hands were shaking, I was so shocked by what almost happened. All I can say is Thank you, Jesus! These features are definitely a must in my next car. Are any of you in the market for a new car? are you considering test driving a Mazda? you should! 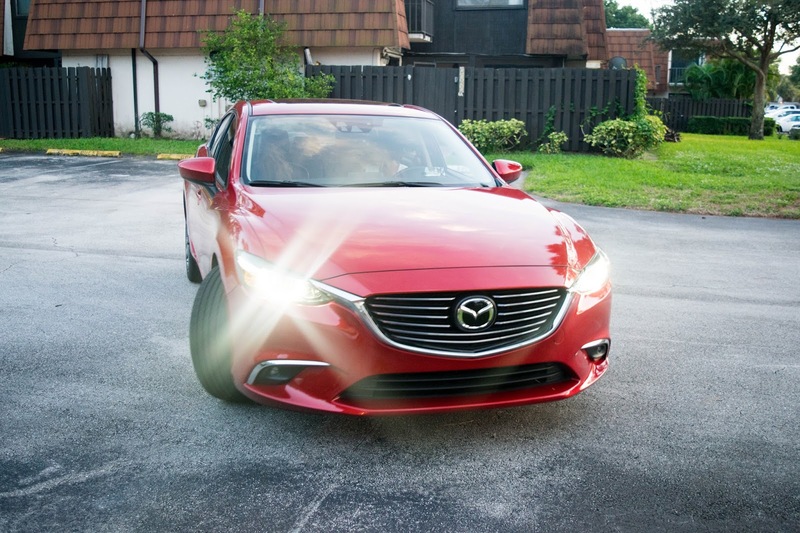 Is Mazda 6 the replacement of Mazda millenia? I drove one for over 2 years- until I got hook with Mercedes. great car! its funny, I started looking at Mazda 6 about 2 months ago and I'm impressed with the body shape. Great features indeed!